Eastern Railway Employees Co-Operative Bank Ltd. | Officers Required | Govt. Jobs | Apply Online | Last Date: 20 May, 2015. 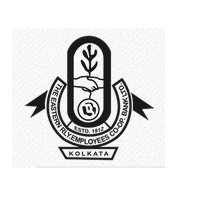 The Eastern Railway Employees’ Co-operative Bank Ltd. was established on 23.11.1912. Recently it is governed by the Multi-State Co-operative Societies Act, 2002. The bank also holds a Banking licence issued by the Reserve Bank of India and is also governed by the Banking Regulations Act, 1949 (As applicable to Co-operative Societies). The Bank has its administrative office in Kolkata with eight branches at Fairlie Place, Howrah, Liluah, Asansol, Dhanbad, Danapur, Mughalsarai & Jamalpur. It caters to the railway employees of Eastern Railways and East Central Railways (erstwhile Eastern Railways). Posted in All Branches, Apply online, Government Job, Job After Btech. Tags: 2015., Apply online, Eastern Railway Employees Co-Operative Bank Ltd., Govt. jobs, Last Date: 20 May, officers on May 12, 2015 by kavita joshi.